Phyllis (Stockwell) Hamilton, 93, a longtime resident of Tilton, died on Friday, January 31, 2019 in Great Falls, MT at the Benefis Nursing Home. She was born in Rochester, NH on October 7, 1925, the daughter of John A. and Janie (Mitchell) Stockwell. Phyllis attended school in Laconia and was a 1945 graduate of Laconia High School. Phyllis went on to graduate from Concord School of Nursing earning her RN. She started her career at Laconia NH Hospital and after 10 years began a 35 year career with the State of NH as an RN at the Laconia State School. 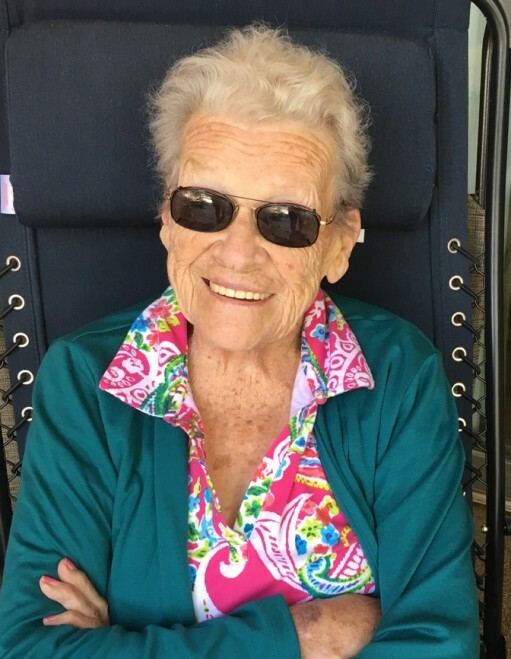 She and her husband Clement “Clem” enjoyed many years after their retirement on Lake Winnisquam in the summers and in Sarasota, FL in the winter months. She and Clem celebrated 63 years of marriage. Besides her husband, she was predeceased by her son, Clement E. Hamilton II in 2015. She leaves her daughter Donna, and her husband, Peter of Great Falls, MT; Jacalyn and her husband, Joseph of Northfield, NH, and her daughter-In-Law, Sally Fitzgerald Hamilton of Roswell, NM, as well as 3 grandchildren and 6 great-grandchildren. A Mass of Christian Burial will be held at Saint Joseph’s Church in Belmont, NH on April 26, 2019 at 11:00 AM. Burial will follow in Sacred Heart Catholic Cemetery in Laconia. In lieu of flowers, the Hamilton family kindly requests that donations be made to the St. Joseph Food Pantry, P.O. Box 285, Belmont, NH 03220 in memory of Mrs. Hamilton or to the charity of one's choice. There's still time to send flowers to the Mass of Christian Burial at the St. Joseph Parish at 11:00 AM on April 26, 2019.